Ask most Android users why do you prefer Android over IOS and you will hear the word “Customization” thrown at you. But most Android OEMS either do not support themes or downright cripple this feature with their horrible built-in themes. Fortunately installing a custom theme on Android 8.0 Oreo is pretty easy. Above mentioned issue is easily fixable using Substratum. Substratum is a theme engine which makes it really easy to customize your Android device to your liking. And whats more impressive is the fact that it does so with out requiring root. So lets get started to know How to Install Custom Theme on Android 8.0 Oreo. First up download and install the free Substratum theme engine app from the Play Store. 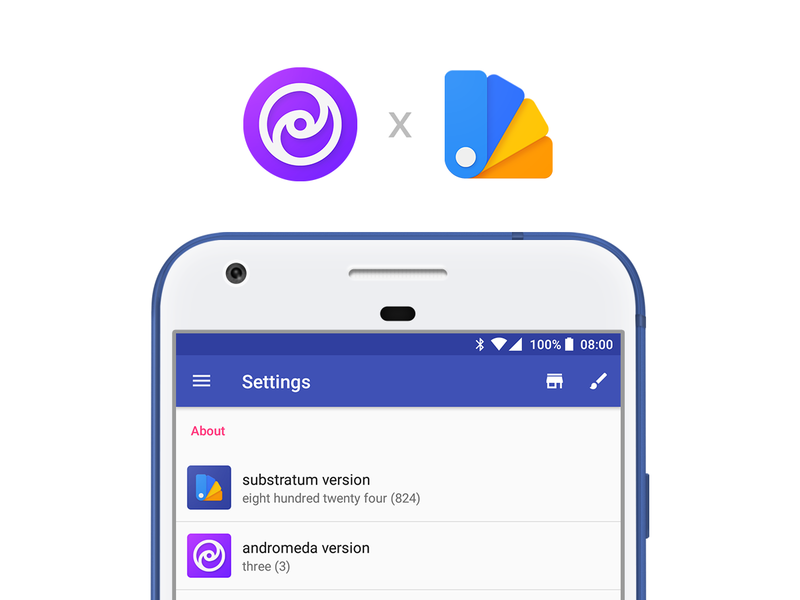 After you have downloaded Substratum, download and install the Andromeda add-on which will be used to install the custom themes on your device. It is a paid app on the Play Store. Don’t worry, its worth its asking price. Finally download the PC client from this xda thread https://forum.xda-developers.com/apps/substratum/andromeda-desktop-clients-release-notes-t3668682?styleid=18. After downloading the client extract the .zip file and place it in any folder on our PC if you are a Windows or Linux user. For Mac users .dmg file needs to be extracted. Now that we are done gathering all the bits and pieces we need, its time to set everything up..
Go to Settings >> System >> About phone >> Build number tap on it 7 times to enable developer mode. Once you enter the Developer Mode, go back one step and go to System >> Developer Options >> Enable USB debugging. Next up connect your phone to your PC using a supported cable. If you are on Windows, run the start_andromeda.bat file as an Administrator and you will see a command prompt open up. Press enter and let it do its thing. If you are on a Mac, run the AndromedaClinet.app and when prompted with a message “disk image of the mounted Andromeda client.” Press continue and browse for “Andromeda” under the “Devices” list. Select it and click continue. If you are on Linux, setup is same as on Windows. Just run the start_andromeda.sh file. Just one small detail to keep in mind: whenever you reboot your phone or install a new theme you need to again run the PC client as shown above. Look for custom themes on the Play Store. You need the custom themes that say Substratum or “OMS”. After downloading, you are all set to enable that custom theme in the Substratum app. Open the app and you’ll see your custom theme listed there. Select it. Choose how and what to customize and enjoy your newly themed device. Customizing Android in this way has it s fair share of problems and bugs. Keep following us for everything Android related and drop a comment if you have anything to add. Peace!